Seven years ago, on 20 October 2008, Sakis Gouzonis created his PureVolume profile. Today, Sakis Gouzonis&apos; PureVolume profile has more than 235.000 fans and friends in 220 countries and territories. Sakis Gouzonis&apos; PureVolume profile is still the most popular Greek music profile on PureVolume, as well as one of the few very successful music profiles internationally. PureVolume is one of the world&apos;s largest music social networks. It was created by Unborn Media, Inc; Mitchell Pavao, Brett Woitunski, and Nate Hudson. It was launched in November 2003, and since then, it has received praise in the New York Times, L.A. Times, Newsweek, Chicago Tribune, The Wall Street Journal, and beyond. In 2010, PureVolume was acquired by SpinMedia. On 17 October 2007, Sakis Gouzonis began promoting his music on the internet without any assistance from record labels, management/booking agencies or marketing companies. Today, 2838 days later, 600.000 people from 220 countries and territories have become fans of his music, and support him online in every way that they can. It would take 14 Panathenaic stadiums to fit them all. The 600.000th fan comes from the United States of America. 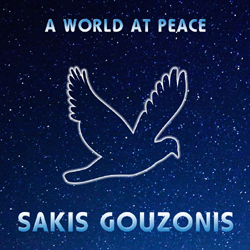 Sakis Gouzonis releases his 8th studio album titled A World At Peace. His 8th studio album contains ten original instrumental electronic tracks, for a total playing time of 48:13 (m:s). All music tracks were composed, orchestrated, performed, recorded, mixed and mastered by Sakis Gouzonis in his recording studio located in Elassona, Greece. A World At Peace contains ten beautiful instrumental electronic music tracks. "…From the warm, celestial and uplifting textures of the opening ‘The Power Of Your Love’ to the soothing, blissful and melodic ‘More Than Words Can Say,’ and the rhythmic clockwork of ‘You Are My Strength,’ as I listen to this music I truly feel as if I&apos;m floating through atmospheres, dancing among the stars, and watching a divine interplay among the heavens…"
A World At Peace is available in MP3 format (320 kbps). Six years ago, on 20 October 2008, Sakis Gouzonis created his PureVolume profile. Today, Sakis Gouzonis&apos; PureVolume profile has more than 155.000 fans and friends in 220 countries and territories. Sakis Gouzonis&apos; PureVolume profile is still the most popular Greek music profile on PureVolume, as well as one of the few very successful music profiles internationally. 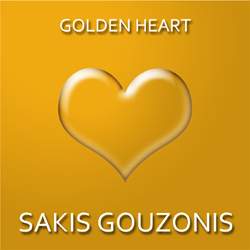 Sakis Gouzonis releases his 7th studio album titled Golden Heart. His 7th studio album contains ten original instrumental electronic tracks, for a total playing time of 37:59 (m:s). All music tracks were composed, orchestrated, performed, recorded, mixed and mastered by Sakis Gouzonis in his recording studio located in Elassona, Greece. Golden Heart contains ten beautiful instrumental electronic music tracks. "…All the songs on the album [Spiritual Unity] feel quite grand as he [Sakis Gouzonis] chooses to embrace airy, near mystical sounding synths that create an ethereal atmosphere… The music seems to be made for movies that want to be epic. Directors take note if you are reading." Golden Heart is available in MP3 format (320 kbps). On 17 October 2007, Sakis Gouzonis began promoting his music on the internet without any assistance from record labels, management/booking agencies or marketing companies. Today, 2270 days later, 500.000 people from 220 countries and territories have become fans of his music, and support him online in every way that they can. It would take 12 Panathenaic stadiums to fit them all. The 500.000th fan comes from Brazil. Five years ago, on 20 October 2008, Sakis Gouzonis created his PureVolume profile. Today, Sakis Gouzonis&apos; PureVolume profile has more than 70.000 fans and friends in 220 countries and territories. Sakis Gouzonis&apos; PureVolume profile is now the most popular Greek music profile on PureVolume, as well as one of the few very successful music profiles internationally. 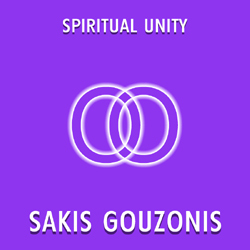 Sakis Gouzonis releases his 6th studio album titled Spiritual Unity. His 6th studio album contains ten original instrumental electronic tracks, for a total playing time of 37:29 (m:s). All music tracks were composed, orchestrated, performed, recorded, mixed and mastered by Sakis Gouzonis in his recording studio located in Elassona, Greece. Spiritual Unity contains ten beautiful instrumental electronic music tracks. "…A man much decorated in the world of international music and rated to be the biggest export Greece has ever had, Gouzonis really brings this home with the composition ‘Lead Me Home’… ‘Till The End Of Time’ has a grandeur and a majestic quality about it that after hearing one would have to stand and applaud…"
Spiritual Unity is available in MP3 format (320 kbps). Today, the original MySpace was shut down by its owners. On 17 October 2007, Sakis Gouzonis created his MySpace page. Upon the closing of the original MySpace, Sakis Gouzonis&apos; MySpace page had 384.710 friends in 220 countries and territories. Sakis Gouzonis was the most popular Greek artist on MySpace for almost six years in a row. He was also the only Greek artist to reach that level of fame and success on MySpace. MySpace was the world&apos;s largest music social network. It was launched in August 2003. In 2005, it was purchased for $580 million by Rupert Murdoch, creator of a media empire that includes 20th Century Fox and the Fox television stations. On 29 June 2011, Specific Media, a digital media company, acquired MySpace from News Corporation. On 12 June 2013, the original MySpace was shut down. On 17 October 2007, Sakis Gouzonis began promoting his music on the internet without any assistance from record labels, management/booking agencies or marketing companies. Today, 1909 days later, 400.000 people from 220 countries and territories have become fans of his music, and support him online in every way that they can. It would take 9 Panathenaic stadiums to fit them all. The 400.000th fan comes from Canada.